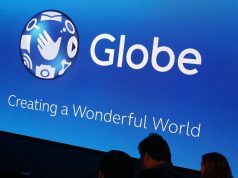 Globe Telecom and its fully-owned subsidiary G-Xchange, Inc. (GXI) has entered into a strategic partnership with leading regional online entertainment provider Asiasoft Corporation Public Company Limited on gaming services provisioning. The collaboration is part of the Memorandum of Understanding with Asiasoft which Globe and GXI signed together with other members of the Singtel Group such as Singapore Telecommunications Limited (Singtel – Singapore), Advanced Info Service Public Company Limited (AIS – Thailand), and PT Telekomunikasi Selular (Telkomsel – Indonesia). The partnership allows GCash, the mobile wallet of GXI, to be used as a payment method at PLAYPARK game portal and mobile app checkouts via PlayMall, Asiasoft’s single wallet platform, thereby, giving GCash customers an option to buy “Cash items”, “lives”, “coins”, or “gems” without the need for a credit card. Asiasoft, has been working with its subsidiary Level Up!, the pioneer online game publisher in the Philippines that published legendary games such as Ragnarok Online and Cabal Online. It also has a dominating market share in the Southeast Asia region covering Thailand, Singapore, Malaysia, Vietnam, Indonesia and Philippines servicing Mobile and PC games. GCash is an internationally-acclaimed micro payment service which transforms a mobile phone into a virtual wallet for safe, secure, and hassle-free mobile money transactions. It can be used to buy prepaid load, pay bills, send money, make donations, shop online, and even purchase goods without the need to bring any cash. Through GCash, customers no longer need to own a credit card or even have a bank account to make financial and ecommerce transactions. Instead, they can turn their mobile phone into a virtual wallet to pay at the speed of a text message. The GCash wallet may be funded by cashing-in at over 11,500 GCash outlets nationwide or by enrolling in mobile and online banking. Previous articleDavao YEPA 2015: Voting is ON!